One of the biggest factors in the process will be the size of the deposit that can be laid down – the larger the deposit as a proportion of the overall price of the home, the more likely that the lender will provide the funds to obtain the property. In an ideal world you’ll put aside money years in advance to gain a deposit which pays for at least 15% of the overall value. That would then mean you’re borrowing 85% – the higher that LTV value, the more you’ll pay every month in interest. So get saving and turn up for your MMR with a healthy bank balance. There are a huge number of factors that affect your credit file. Debts will be taken into account, so getting rid of your loans, credit, store cards and others perhaps by using consolidation loans, from a company such as Avant Credit, with the aim of paying them off more quickly, can only help your application. Do everything you can to try to build up a strong credit rating (borrowing a manageable amount will help if you haven’t had debt before) by paying bills on time and not applying for more credit than is necessary. Gaining a secured loan, or store cards, might help in the move to build a small credit score. 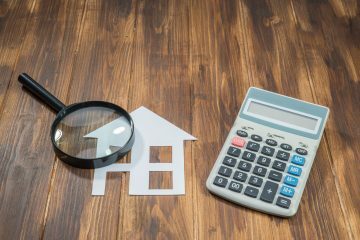 Lenders want to see evidence of individuals being able to pay back a mortgage every month and on time – and for most people that mortgage will be paid for via a salary. So evidence of flitting between jobs, each held for only a few months, could be frowned upon. Lenders look for six months in a job as a bare minimum (sometimes probation is allowed), but preferably 12 months. Heading into a Mortgage Market Review with no idea how much you spend per month, and what you spend it on, will not impress a bank, building society, broker or lender. Not only that, but it could be an embarrassing and demoralising experience. So several months before you plan to approach a potential lender strip out any unnecessary spending from your monthly outgoings. Try to cut down on excessive spending and luxuries, and show that you can be a responsible mortgage payer. Before attending the meeting, try to work out how much you could afford to spend on a mortgage as a rough figure. It might not exactly tally up with the calculations that the lender will compute when you’re all sitting around a table, but it shows good preparation and organisation. Borrowers probably hoped that the drop in interest rates announced by the Bank of England would lead quickly to similar falls in mortgage interest rates, but strangely some lenders seem to have done the opposite, such as Halifax and Nationwide, while also dropping interest rates for savings accounts. It’s not great news but interesting to note. And while it’s not a dealbreaker by any means, a knowledge of the housing market and what you might expect to be able to buy as well as research on how mortgages and interest rates work can only impress. It’s also worth knowing about schemes such as Help to Buy, which is helping as many as one in six buyers in Manchester, as an example.